Happy Sunny Saturday fellow foodies. My head for the last few weeks and then I saw these….. The Sweet smell of the fruit starts your mouth watering right away! 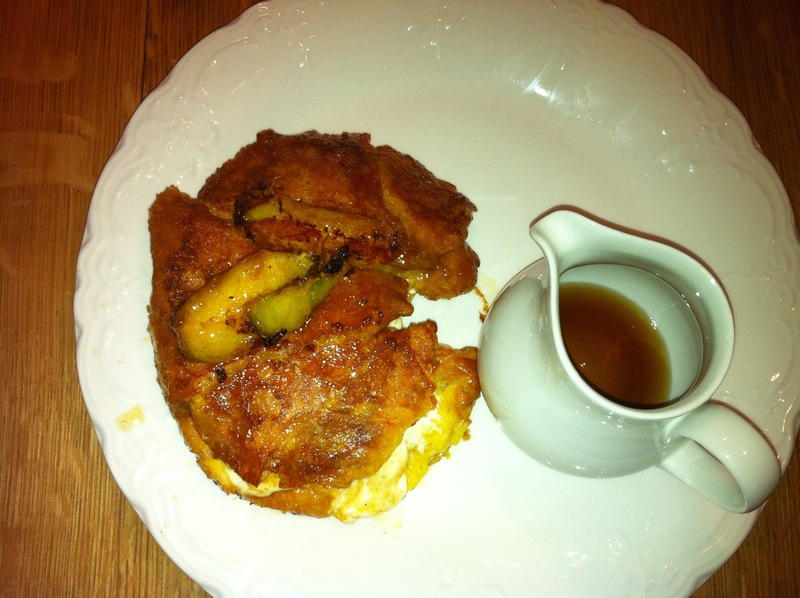 To make Two servings you will need…..
Whisk together the eggs, cream, vanilla and a pinch of cinnamon. And set aside. Peel the peaches and cut into even slices but not to thin. 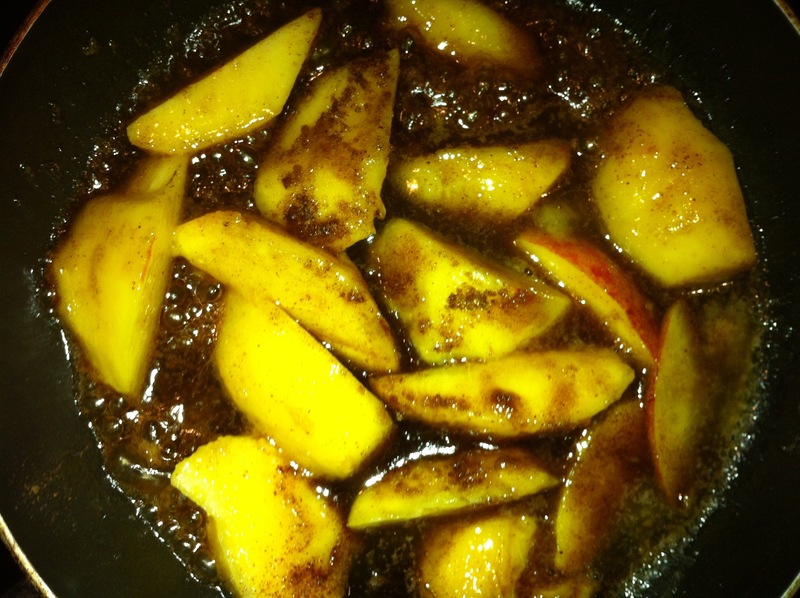 Put in a pan with 1/2 the butter, brown sugar, lemon, cinnamon and ancho chili on medium heat to soften and caramelize the peaches for approx 10 mins. 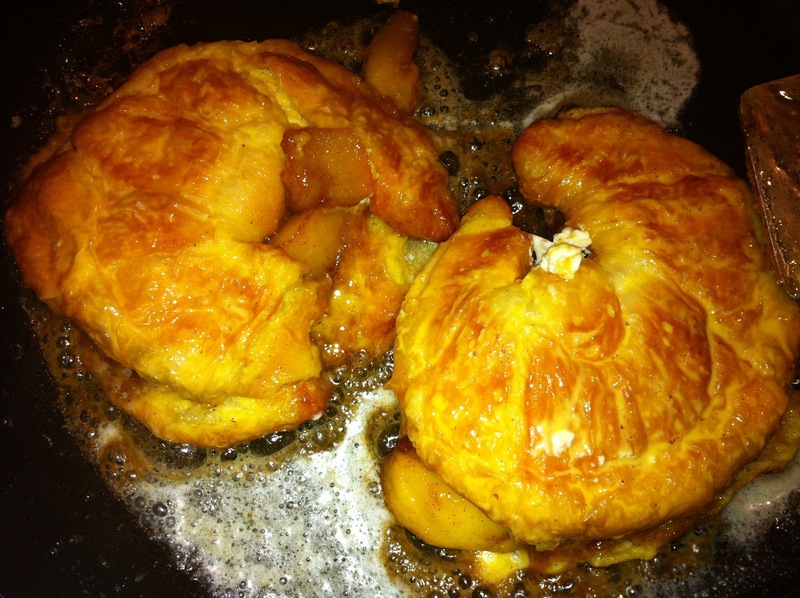 Stir or whip the mascarpone cheese to soften it, 3/4 cut the croissant(s) and then dip the croissant in the egg mixture. Take the peaches off the heat after they are nicely caramelized and set aside for a moment. 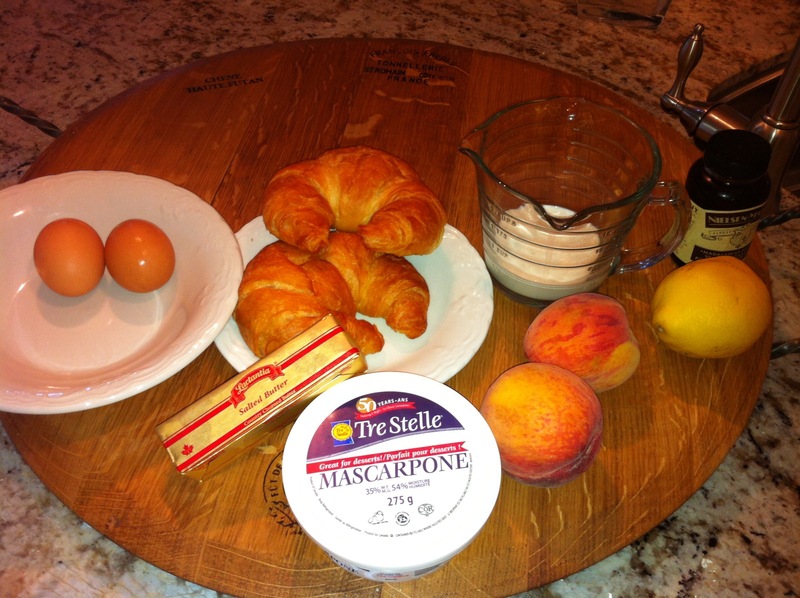 Now carefully spread the mascarpone cheese on one side of the dipped croissant and now carefully spoon the peaches on top of the mascarpone side and close the halves. Heat your pan to a med heat and put in the rest of the butter. As the butter melts carefully place the stuffed in the pan and brown. Carefully flip and brown the next side. The mascarpone cheese will soften nicely and the egg mixture cooks just right as the bread browns. Serve with warmed pure maple syrup I ether dribbled over or on the side. The blending of these flavors are out of this world. The perfect melted mascarpone perfectly pair with the sweet fresh caramelized peaches. The ancho chili is up to you but does add a nice kick and slight counterbalance to the sweetness. This same recipe can be made with bread instead of croissants and also can be baked rather than in the fry pan…. 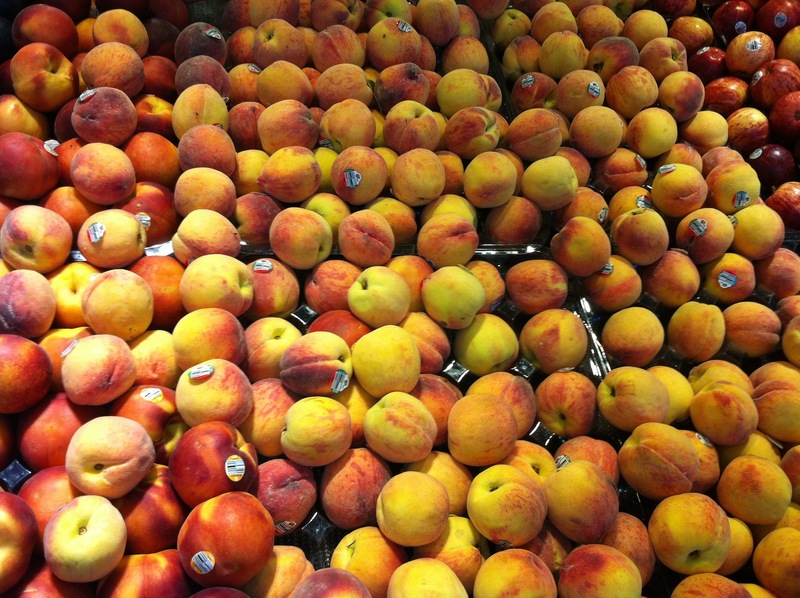 Go out and get your BC fresh peaches and any fruit really…. And make your family swoon over this delectable desert….. Well ok breakfast!